She's cool, I wouldn't mind finding one in the wild. I have the green one. Got her as a kid and she even made horse sounds. Yeah, I think her crown also light up. You had to squeeze her stomach and she would make 3 or 4 horse sounds in a row. Mine is made of very hard plastic and looking through the hole underneath there seems to be nothing inside? yeah IIRC there are a LOT of variations of Princess Rinse 'n Spit - some with features, some without, etc. It's quite interesting how many different versions there is of this fakie. My friend had the dark pink one, and it made the noises too. Mine was bought in Sweden in the early 90's. I have one without hair right now, I need to work on that at some point. 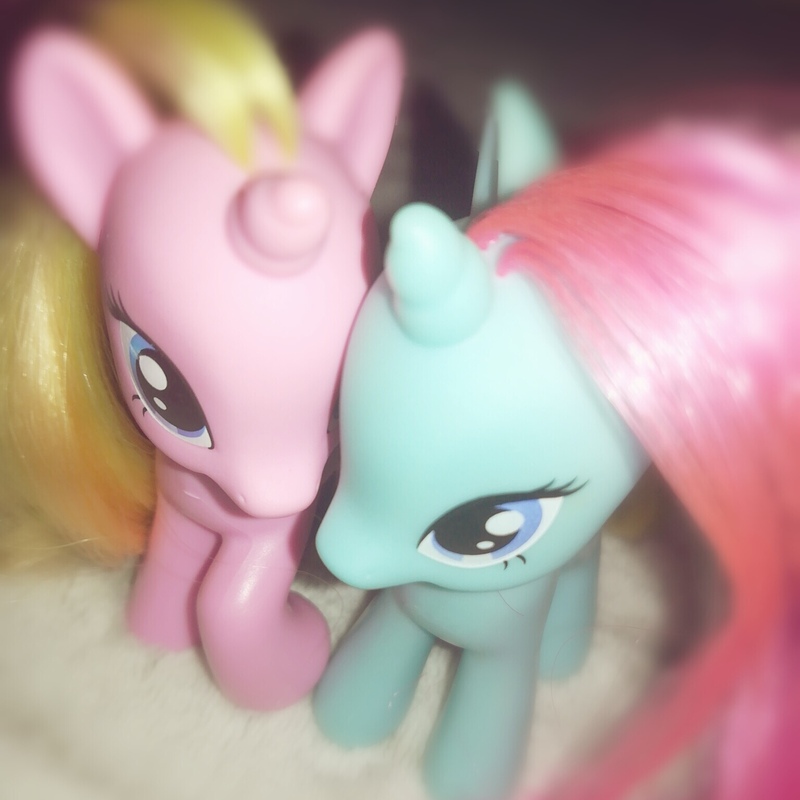 I have the orange one (who's waiting for new hair) - and she's my very first pony (for real! ), my twin sister got a beautiful and very pink one at the same time - I think it was for our 4th birthday. I named mine "Maskros" which is swedish for Dandelion. One is loved because one is loved, no reason is needed for loving - Coelho. WANT. If she wasn't so impossible to find I would have gotten one a looooooooooooong time ago. Will I ever have one?